We all strive, as content marketers, to be purveyors of the best ideas. Full of social media campaign ideas, we want our campaigns to go viral, to break the Internet, to be the best ever. So, to be the best, we have to look at the best. Here are some creative social media campaigns to take notice of – whether you’re building a campaign for a big brand or you’re trying to bring a local business into the bigger league. Without ado, these are the social media campaign examples that we want to be good enough to beat. In 2010, during the Super Bowl, the world was introduced to “The Man Your Man Could Smell Like” on YouTube, and then on TV shortly after. It was an Old Spice ad, and it captured a lot of attention. But that was February. By July, the Old Spice Guy was a well-known and well-loved media icon, but the company wanted to do more with him. So, they took their strategy to the people and created one of the best social media campaigns of all time. Old Spice’s ad agency, Wieden+Kennedy Portland, scripted 186 personal video messages in response to questions and comments they pulled from Old Spice’s social accounts on YouTube, Facebook and Twitter. They also looked to Reddit and Digg for more material. Production of the videos took just over 2 days, and the results were phenomenal. What Makes This Social Media Marketing Campaign So Great? W+K took questions from a variety of social platforms and scripted the videos in direct response to them, with the Old Spice Guy actually saying the person’s name. This is personal, intimate, contextual marketing at its absolute finest, making this campaign way ahead of its time. It’s hard to find better social media campaign examples than this, but we’ll try. Everyone loves a Pumpkin Spice Latte, but few are disappointed when Starbucks cups turn red and it’s time for Peppermint Mocha instead. Starbucks is known for their top social media campaigns, as well as their tremendous following city-to-city, but #RedCups is something even bigger. Now, granted, the red cup phenomenon started as somewhat of a controversy. They used to put Christmas iconography on their cups – like reindeer, ornaments, and whatnot. In October 2015, Starbucks opted for a solid red cup, rather than a holiday-themed cup. While accused of being haters, Starbucks defended their position by saying that they wanted to have a simple design that embraced everyone’s story. Starbucks was respectful and tolerant of the criticism surrounding their decision for plain red cups, saying that they try “to create a culture of belonging, inclusion and diversity.” Stay classy, Starbucks. 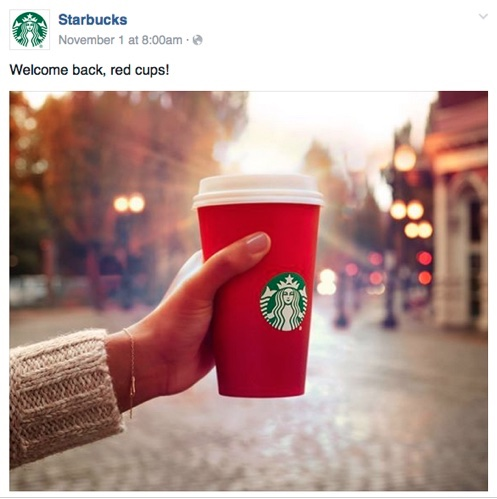 Whether the feedback was good or negative (and you know they say there really is no bad publicity), their red cups got a crazy amount of social shares. They’re continuing the campaign this year, and rewarding customers who upload it and tag it #redcupcontest, thus rewarding social media users and standing by their #RedCups. Plenty of potential for this year, when people can win a Starbucks gift card for tagging a photo with #redcupcontest. Goodwill with all people by being respectful of all cultures and backgrounds. By refusing to participate in a social media war when they were accused of being anti-Christian, Starbucks stood by their simple holiday cheer by saying that they love all people, and want to serve them good coffee. And, by continuing their plain #redcup tradition, they are enforcing their corporate values and establishing goodwill. By giving free coffee. 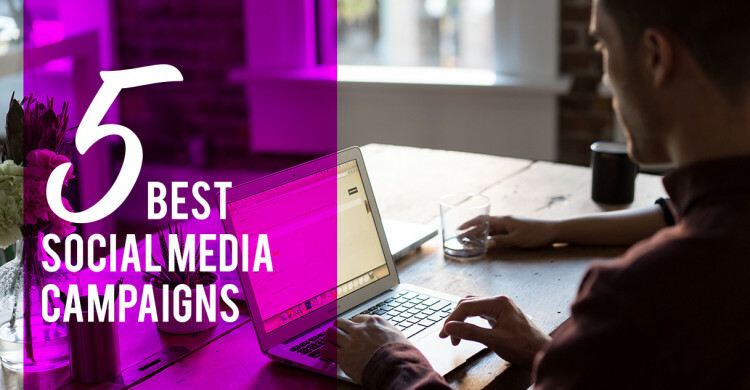 That’s our list of cool social media campaigns. We love campaigns that are contextual – that know when, where and how to communicate with whom. We love campaigns that are visually stunning, like Ikea’s and the WWF’s. We love companies that stand up for their corporate values and communicate them freely and clearly. And, we love marketers who can figure out new and different ways to reach customers via social media. That’s why we picked these 5 awesome campaigns. Can you think of one that beats our list? Please submit it in the comments below, visit us on Facebook, or email us at [email protected]. What Makes This Campaign So Great? This is great, because it was among the first viral social media campaigns on Snapchat. Snapchat is a social media platform where the images or videos disappear after a matter of seconds. WWF used this feature to its advantage, with messaging like “In 6 seconds I’ll be gone forever. But, you can still save my kind. #LastSelfie.” The challenge presented to users was to take a screenshot of the image before it vanished. Then they would share it on their other social networks, like Twitter, Facebook and Snapchat. 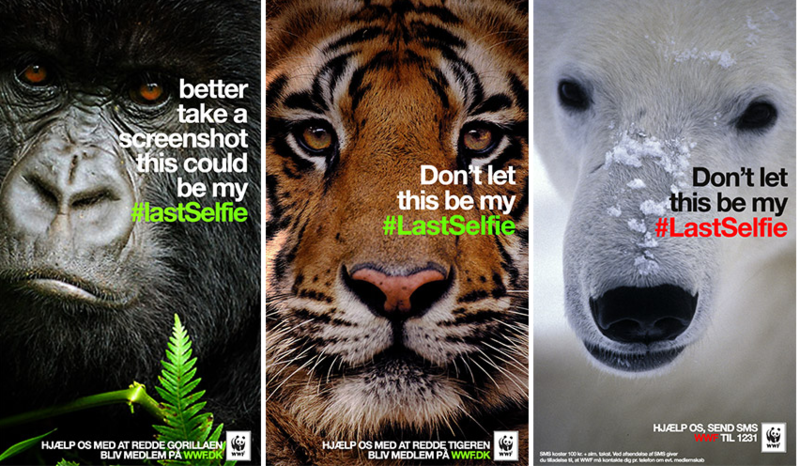 Though it’s a shame that we still have endangered animals that we can help, WWF used Snapchat’s disappearing content feature for good, in a very clever (not to mention viral), way. This is an oldie but a goodie. In fall of 2009, a new Ikea store was opening in Malmo, Sweden. Ikea wanted to advertise the fact that they were opening a new branch, but didn’t want to spend a lot of money. The engaged Forsman & Bodenfors, an ad agency founded in Sweden in 1986, to come up with a cost-effective campaign for them. And they created one of the most effective social media campaigns on a budget. 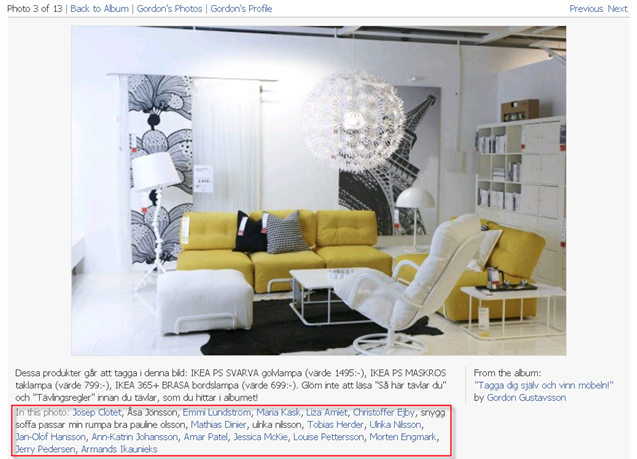 Over the course of two weeks, pictures of showrooms were uploaded to an “Ikea Gordon” Facebook page – one created specifically for this campaign. They urged users to tag the picture – the first person to tag a product in the picture would win it. At the time, there was a 30 tag limit per picture rule enforced with Facebook. These images reached that limit within minutes. It costs very little to upload a picture of a showroom, but the tagging activity resulted in thousands of people being reached through the Facebook campaign. It encouraged people to interact with the Facebook page. It rewarded people for interacting quickly. The smart use of the Facebook tagging feature, added to a reward-based campaign where the first to tag an item won it, expresses one of the simplest tenets of advertising. Give them something free and they will love you forever. Netherlands airline KLM did a one-week social media campaign where they monitored tweets from not only their own customers, but the customers of other airlines. Then, they set out to make them happier. First, they researched Twitter for 6 months to compile hundreds of keywords to look for. Then, they set up a room in the Amsterdam Schiphol Airport to display what they were doing – showing an interactive screen that showed everything going on in the world. They were keenly aware of passengers experiencing trouble with different airlines. They helped people get visas, delivered a bed for a tired traveler, and even sang a song for someone with insomnia. What Makes This One of The More Successful Social Media Campaigns? Provided real help to travelers in need. What better PR for a brand can there be? Reached those customers at the exact time they needed help. Displayed their activity for other people to see, thus building brand awareness. KLM not only executed one of the great social media campaigns, they really focused on their target audience’s pain points and went out of their way to make potential customers happy. This went a long way to secure the airline’s position, and they probably managed to steal quite a few customers from other airlines.